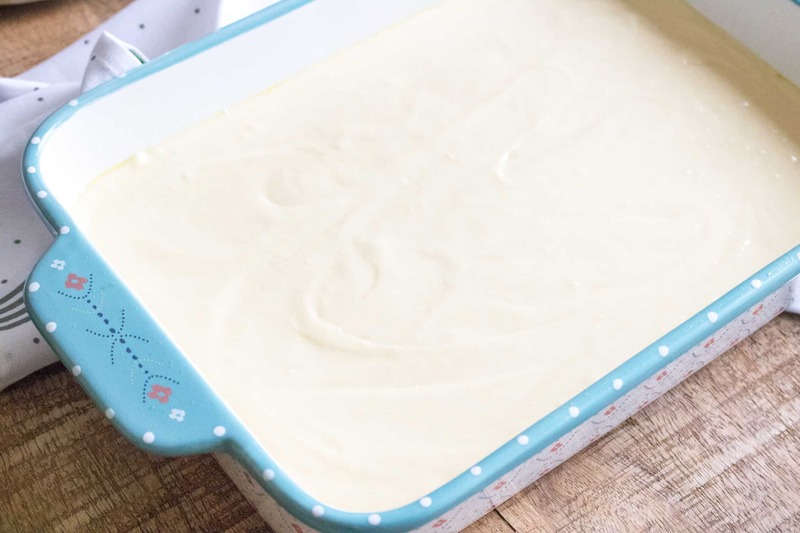 A poke cake is a basic white sheet cake that you poke holes into after baking, then fill with liquid (traditionally flavored gelatin) to infuse the cake with tons of moisture and flavor. 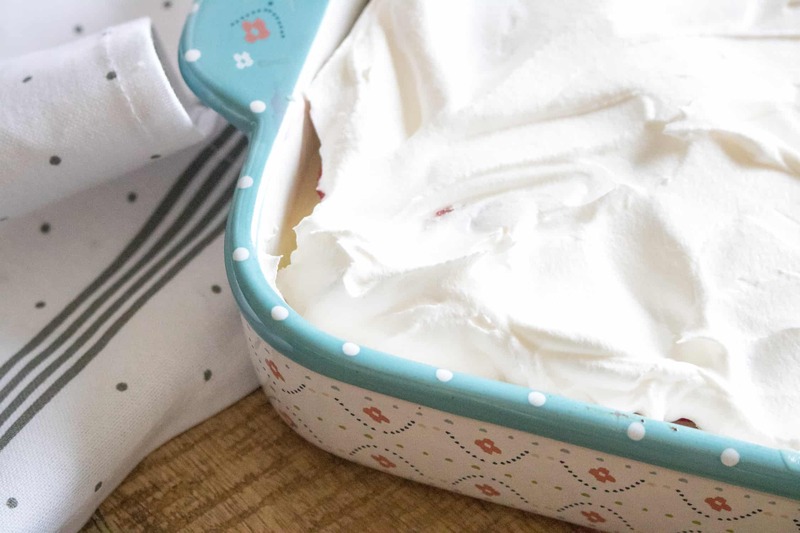 Depending on the choice of filling, the cake can be “poked” with a fork, which works well for thinner liquids like gelatin and syrups, or with a bamboo skewer, wooden spoon handle, or even a pastry cream injector for thicker sauces and cream fillings. Who Invented the Poke Cake? 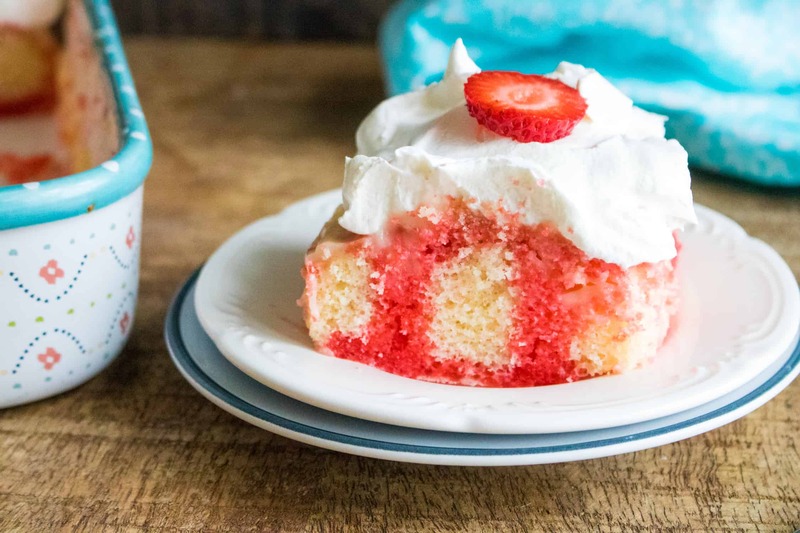 Poke cake was invented in 1969 by the General Foods Corporation, as a way to increase sales of their flagship product, Jell-O. 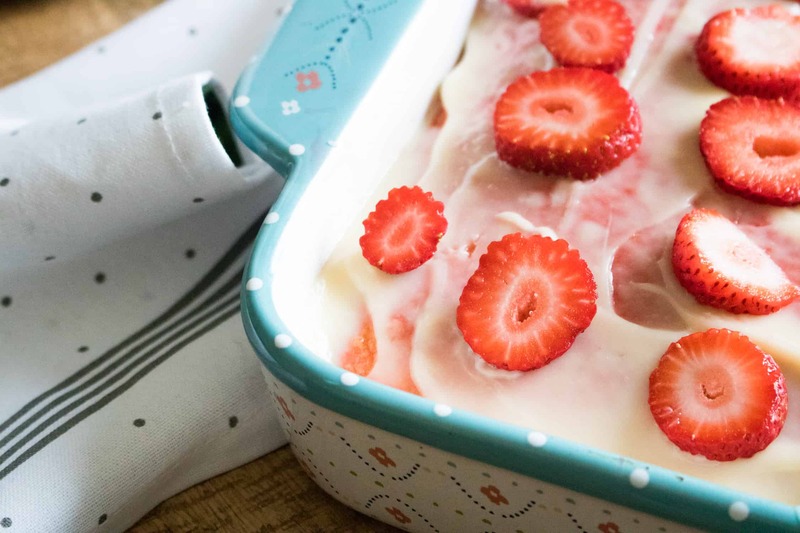 We’ve taken their original Strawberry Poke Cake recipe a step further by adding a hidden layer of delectable cheesecake pudding topped with sliced, fresh strawberries. Bakers are now moving beyond traditional gelatin, and filling their poke cakes with everything from flavored syrups and chocolate, to salted caramel, coffee, and even boozy cocktail mixes! So if you’re feeling adventurous, you’ve got to check out our recipe for Boozy Pineapple Piña Colada Poke Cake! In the mood for a more decadent dessert? Rich and delicious Chocolate Toffee Poke Cake is sure to satisfy all the senses. 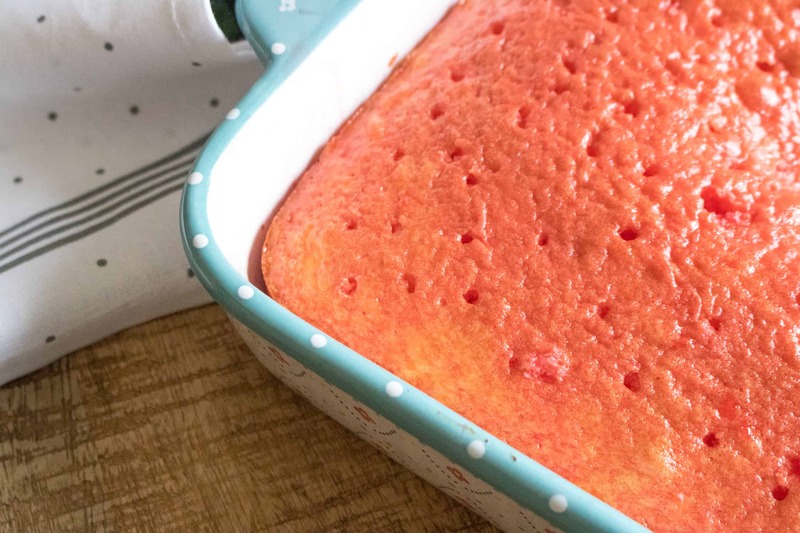 And, if you’re looking for another perfect summertime dessert, Orange Creamsicle Poke Cake is a fun take on the classic frozen treat. Step #1: Bake cake in 13×9 pan according to package instructions. Allow to cool. Step #2: Using a fork, poke holes in the top of the cake. 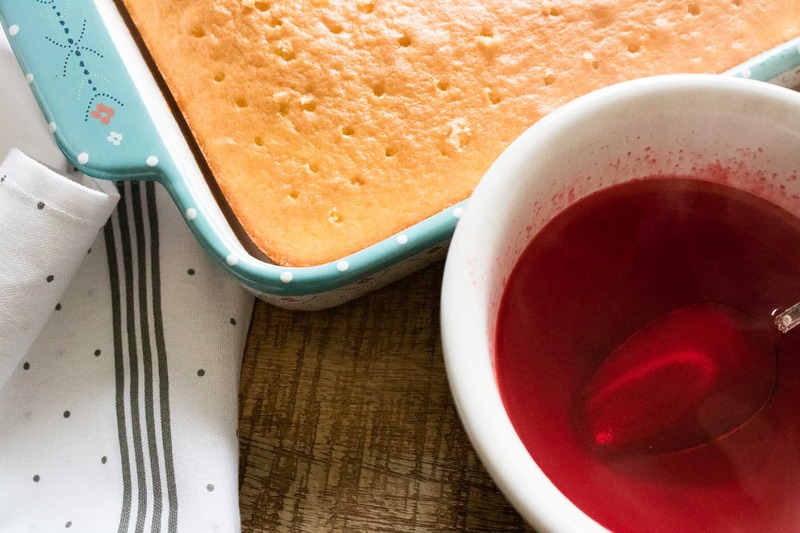 Step #3: Mix together gelatin with 1 cup of boiling water until dissolved, and then pour the gelatin over the cake, making sure to pour over the holes. Step #4: Next, mix together cheesecake pudding mix together with 1 ½ cups of milk. Pour and spread over the cake. Add a layer of 1 cup of strawberries. 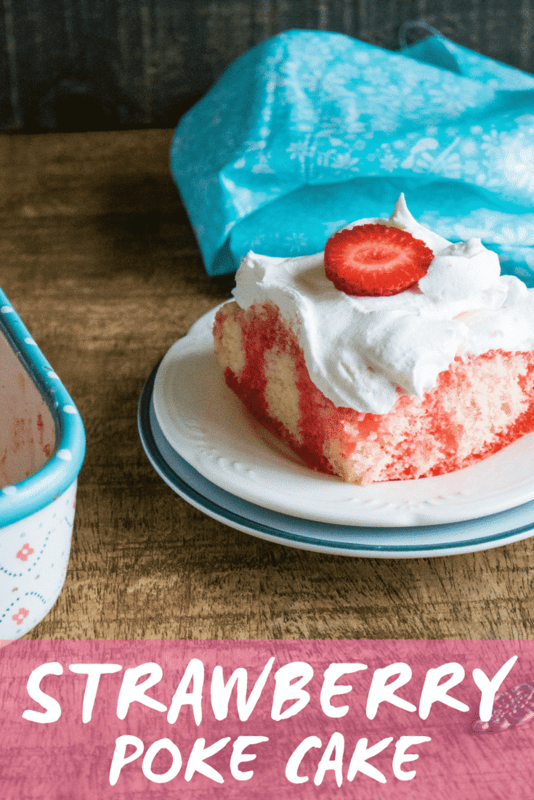 Step #5: Top with whipped topping and additional cup of strawberries. Step #6: Chill for 4 hours before serving, then slice and enjoy! 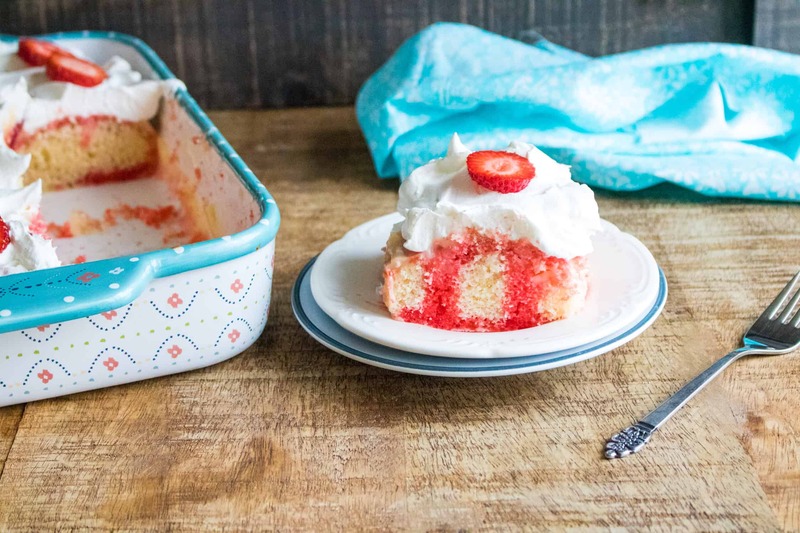 We made the original Strawberry Poke Cake recipe extra delicious by adding a hidden layer of cheesecake pudding and fresh strawberry slices.